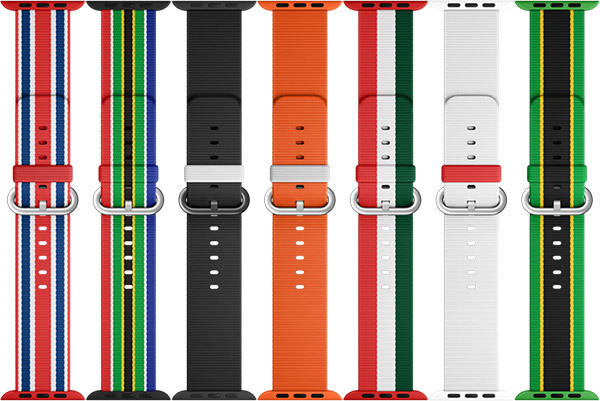 Apple is attempting to market the Apple Watch and its accessories to athletics fans by introducing a range of affordable Apple Watch bands that are designed to be country specific. 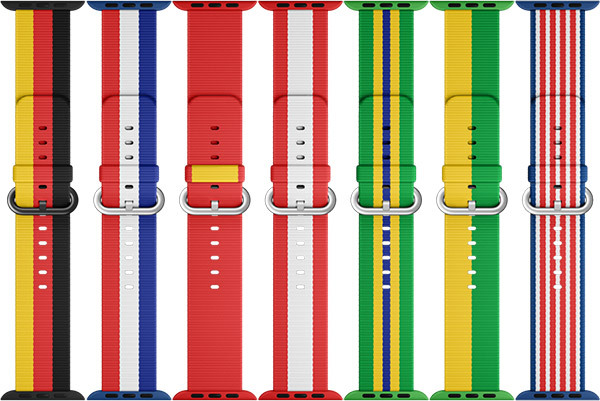 With the 2016 Olympic Games set to begin in Rio de Janeiro next month, Apple is clearly looking to take advantage of that hype, and as such, has launched a range of Woven Nylon bands for the Apple Watch that are designed to represent the national flag of 14 of the major nations competing in the games. Even though the bands have been designed to reflect the national flags of the individual nations, it’s worth noting that they aren’t actually being marketed and sold on a global scale. Rather than updating the existing range of Apple Watch bands online and in retail Apple Stores, the Cupertino-based company is making the themed bands available through one single retail Apple Store at the VillageMall in Barra da Tijuca. That store, is of course, located in Rio de Janeiro, Brazil. If you’re a huge fan of the Olympic Games, and have tickets and are planning on making the trip to Rio in the coming weeks, then it’s worth checking to see if your nation is one of the 14 chosen by Apple to receive this Apple Watch-based honor. Apple has chosen the United States, Great Britain, the Netherlands, South Africa, New Zealand, Canada, China, Australia, Germany, France, Japan, Jamaica, Mexico, and of course, the host country Brazil as the inspiration for the new Apple Watch bands. 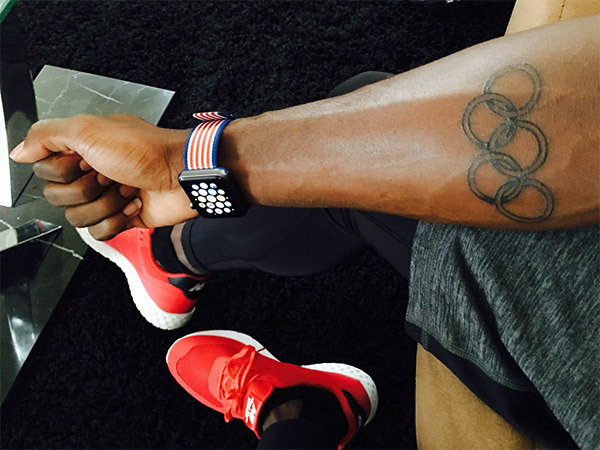 USA sprinter Trayvon Bromell even took to Twitter to show off his United States band. This isn’t the first time that Apple has used a global or well-recognized event to create custom offerings for the Apple Watch. Tim Cook’s company celebrated and showed support for last month’s Pride festival by creating a rainbow Woven Nylon band. It’s not only a fantastic and fairly unique way of showing support or recognition for an event or cause, but it also provides a unique collectors piece for Apple Watch owners who may have taken part in Pride, or who may be making a once in a lifetime trip to Rio to support their nation in this year’s Olympic Games. The bands are available to purchase for a very reasonable $49. not for spain! shame!……. im selling my apple watch! Might get the US one. 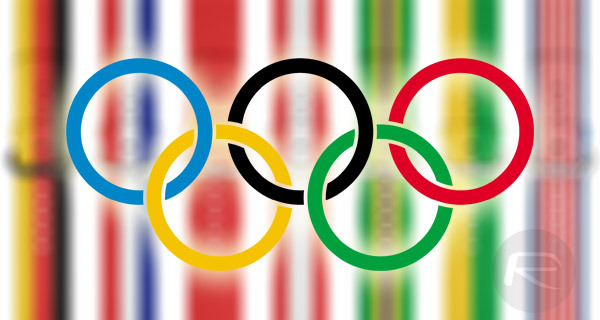 Samsung makes a skin for the Olympics, and this site calls it shameful. Thought they were going to have mosquito designs.